Stream in Mingo National Wildlife Refuge. 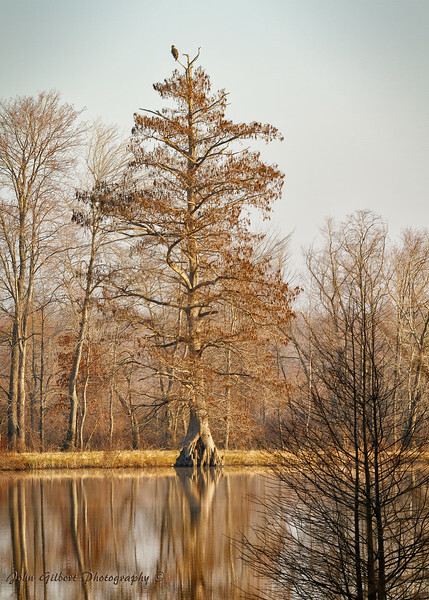 Mingo National Wildlife Refuge encompasses 21,592 acres of hard-wood swamp, streams, ditches, rock bluffs, and moist-soil-units. This wildlife area is managed by the U.S. 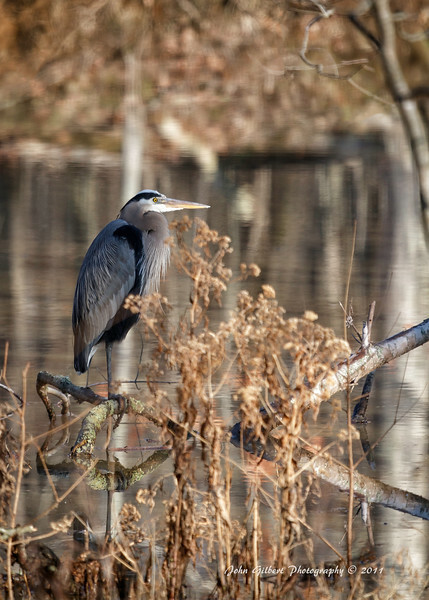 Fish & Wildlife Service and its primary purpose is to provide sustainable habitat for migratory water-fowl and preserve bottomland hardwood forest and wilderness lands. This is a view of Monopoly Lake taken from Monopoly Overlook. 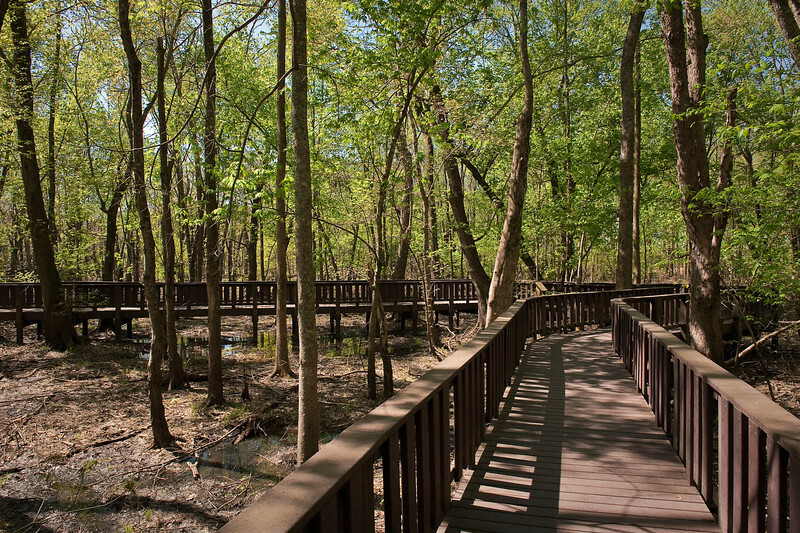 This area was once covered with cypress and tupelo trees before being cut for timber in the early 1900's. This area proved critical for the first successful restoration of nesting eagles into Missouri. 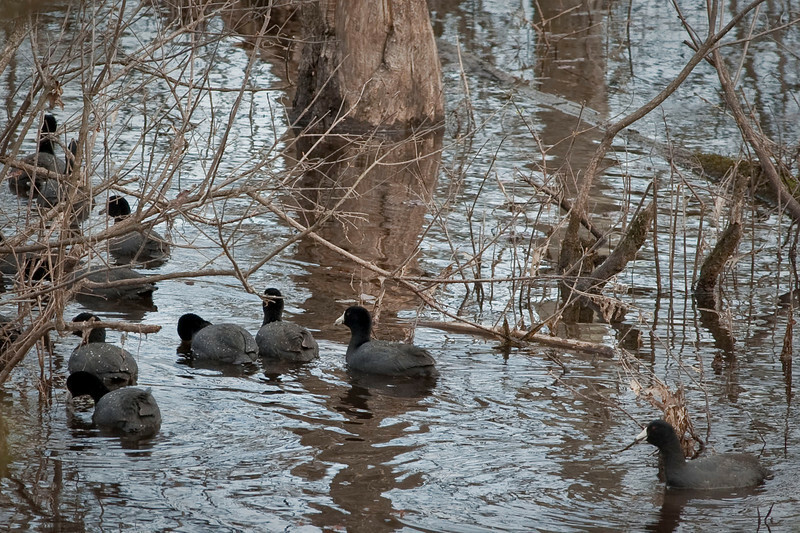 American Coots in stream along Red Mill Drive. Part of Mingo National Wildlife Refuge. 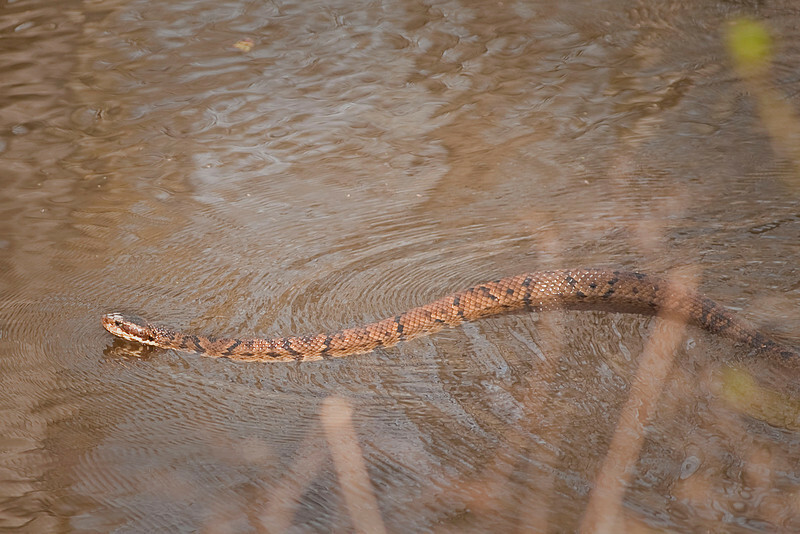 I am not a snake expert but I think this is a water snake but I could be wrong. This image was taken in a stream along Red Mill Drive. Part of Mingo National Wildlife Refuge. 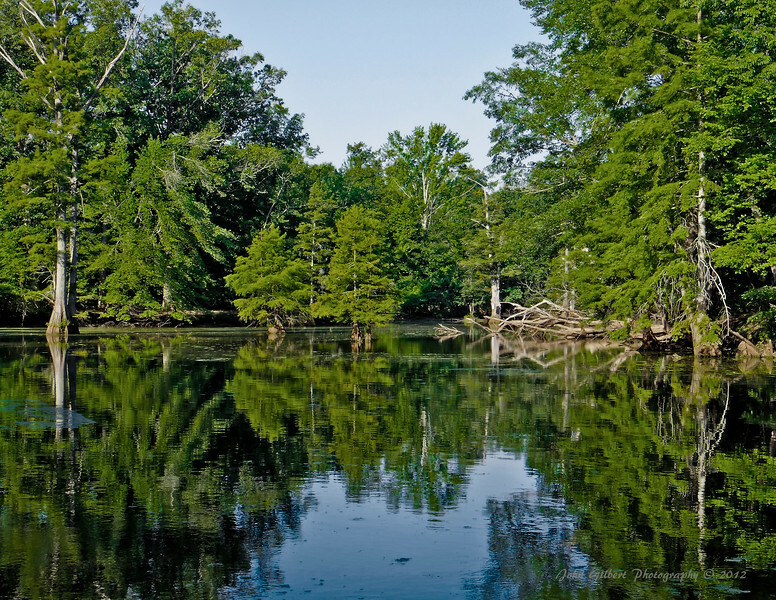 This wetland environment is good habitat for a variety of reptiles and amphibians including green treefrog, common snapping turtle, southern painted turtle and the broad-banded watersnake. 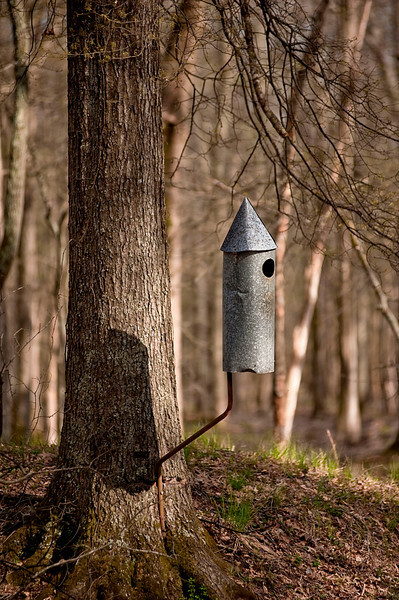 Wood Duck houses, this one located directly above stream running parallel to Red Mill Drive, can be found throughout Mingo along streams to help with the reintroduction and breeding of Wood Ducks. 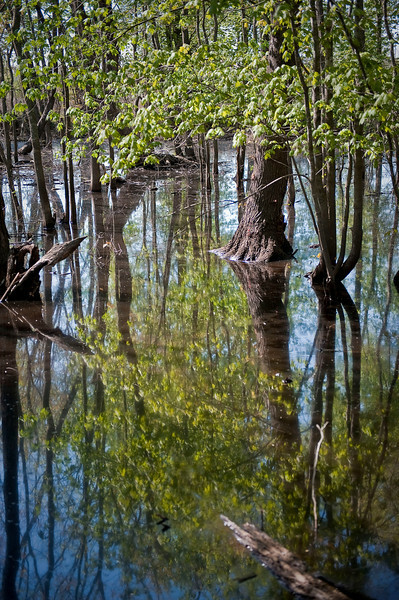 May Pond-Mingo National Wildlife Refuge. Warmer version. 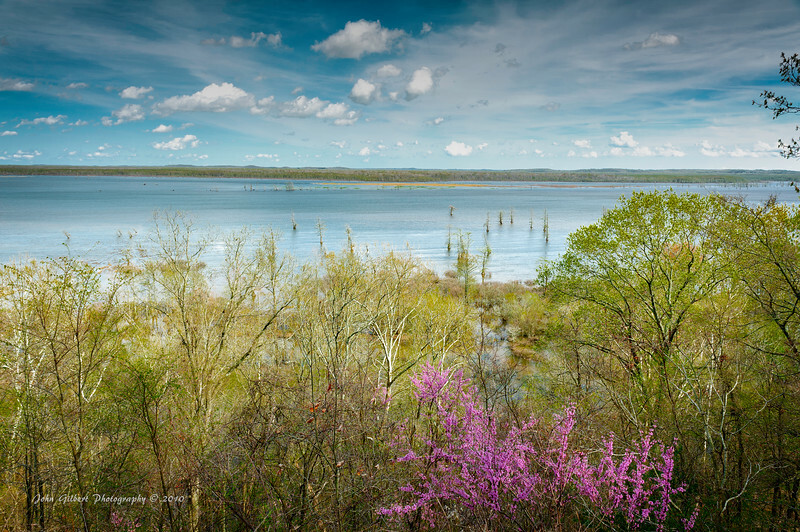 retreated over one million years ago, the mighty Mississippi River carved its way through the area we now call the Mingo National Wildlife Refuge. Through the years, the Mississippi River flowed south within a narrow peninsula of hard rock called Crowley's Ridge. Eighteen thousand years ago, scientists believe an earthquake caused the river to an earthquake caused the River to cross Crowley's Ridge and join the Ohio River near the present-day town of New Madrid, Missouri. 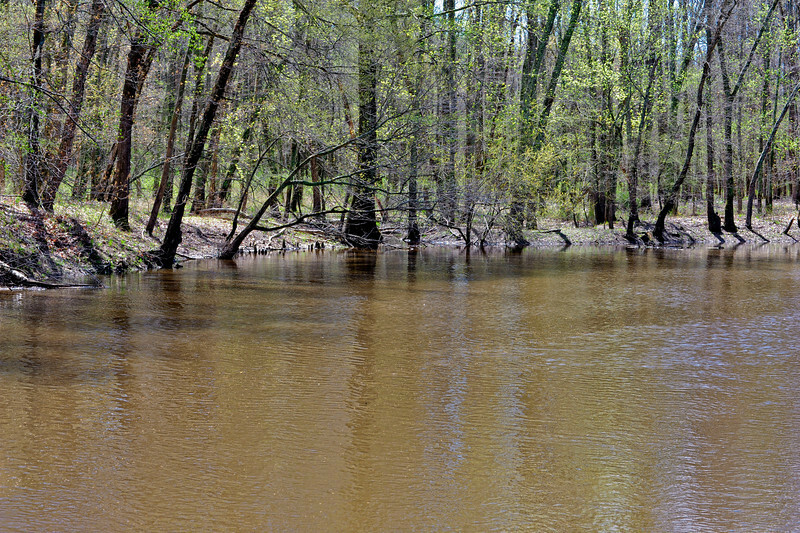 As the river shifted east, it abandoned its original channel and left behind a wildlife basin called Mingo Basin. Native Americans were attracted to the basin's habitat, rich and abundant with wildlife resources. This is evident by cultural resources discovered on the refuge. Settlers also exploited the Mingo Basin. 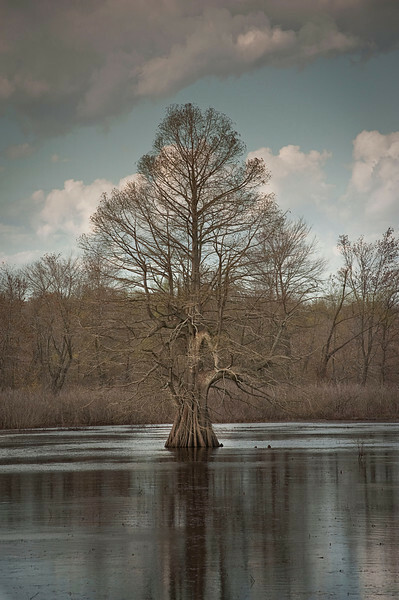 By 1890, the vast cypress and tupelo forests fueled a booming lumber industry that ultimately led to the harvesting of nearly all the trees within the refuge's present boundary. In the wake of disappearing forests, large drainage ditches were etched throughout the swamp to prepare the land for farming. 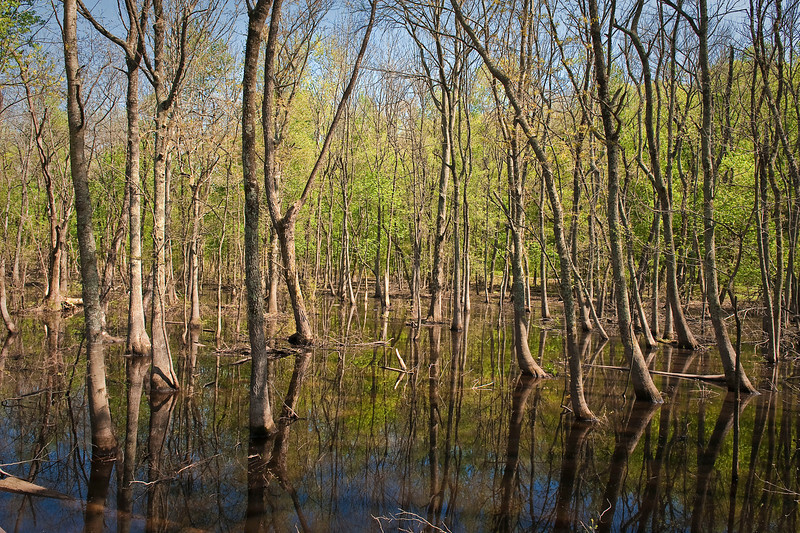 The expensive undertaking proved only partially successful and sharply contrasted with other drainage projects in southeastern Missouri, which effectively drained hundreds of thousands of acres of hardwood swamplands. The combination of a depressed economy, expensive drainage attempts, poor farming practices, over-grazing, and numerous fires quickly brought economic and ecological bankruptcy to the Mingo area during the Great Depression. 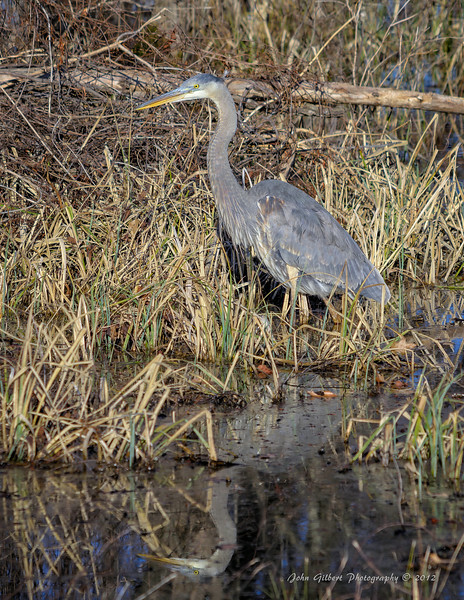 The great blue heron is a large wading bird in the heron family Ardeidae, common near the shores of open water and in wetlands over most of North America and Central America. Hornets nest can be very dangerous, especially if you try to knock them down. While hornets workers and males die each year the Queens hibernate over the winter and leave and build new nests. They feed off of insects and the sweetness of human food. Each colony of social wasps such as hornets, yellow jackets and paper wasps lasts only one year. Each nest is built from scratch each year. 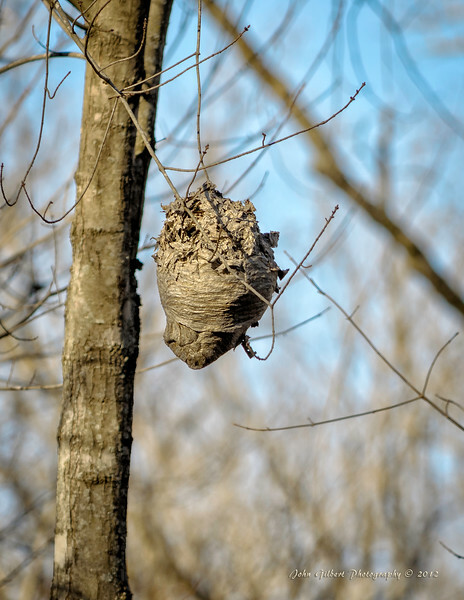 The previous year's nest can not be reused and in the case of hornets, disintegrates quickly in late fall winds and rain. These birds are skittish and quick to take to flight. However, if they are intent on hunting they may not fly away and give photographers apply time to capture a few images. Mallards are the most widespread and abundant duck in North America and their populations have been slightly increasing from 1966 to 2014, according to the North American Breeding Bird Survey. Their numbers increase during wet periods and decline when there are droughts in the middle of the continent—over the last 50 years their estimated numbers have cycled between about 5 million and 11 million. The U.S. 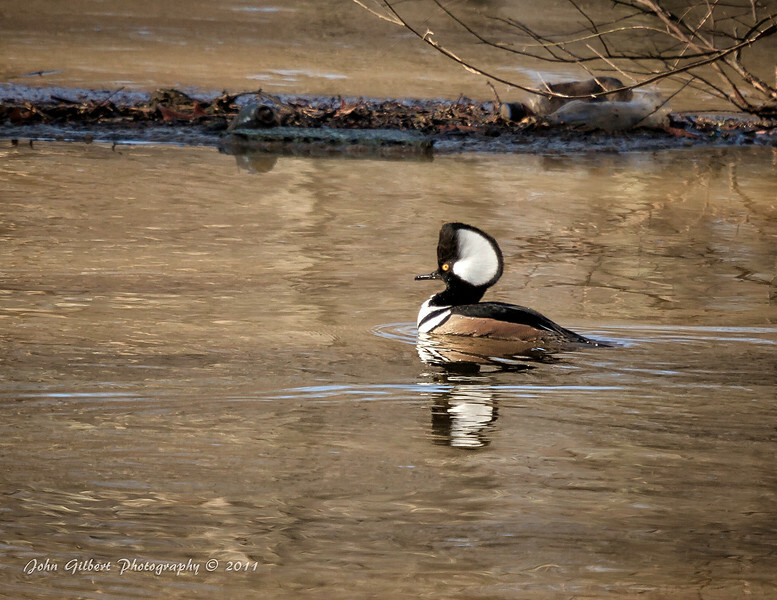 Fish and Wildlife Service estimates the 2014 North American population at around 11.6 million breeding birds. The species is not on the 2014 State of the Birds Watch List. Mallards are also the most heavily hunted North American ducks, accounting for about 1 of every 3 ducks shot. State and federal wildlife agencies keep close track of the numbers shot—visit http://www.flyways.us to see summaries of duck numbers and hunting statistics. Like other waterfowl, Mallards can be poisoned when they ingest lead shot while feeding. In 1977, a mandatory switch to steel shot along the Mississippi Flyway helped greatly alleviate lead poisoning in Mallards. This species can also be affected by poor water quality, including mercury, pesticide, and selenium pollution, wetland clearing or drainage, and oil spills. 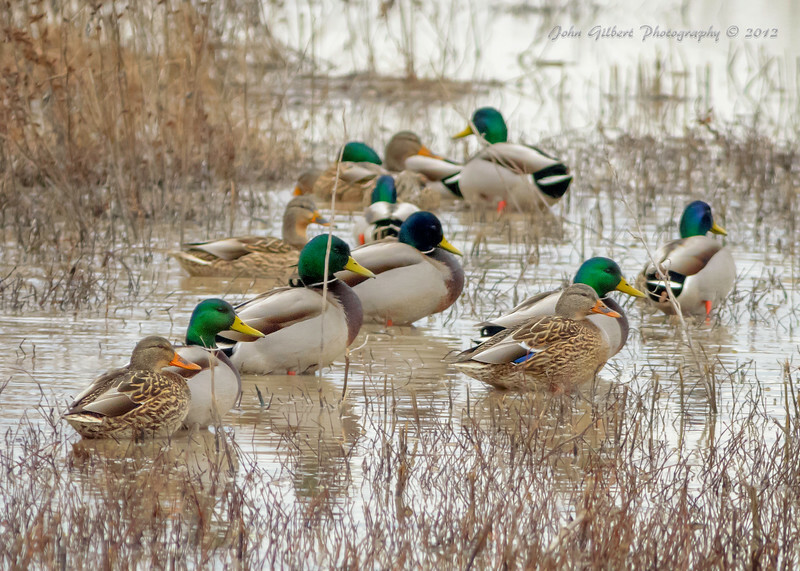 Mallards can be found in almost any wetland habitats, including permanent wetlands such as marshes, bogs, riverine floodplains, beaver ponds, lakes, reservoirs, ponds, city parks, farms, and estuaries. Mallards are generalist foragers and will eat a wide variety of food. They don’t dive, but dabble to feed, tipping forward in the water to eat seeds and aquatic vegetation. During the breeding season, they eat mainly animal matter including aquatic insect larvae, earthworms, snails and freshwater shrimp. During migration, many Mallards consume largely agricultural seed and grain. They nest on dry ground close to water. Occasionally, Mallards nest in agricultural fields, especially alfalfa but also winter wheat, barley, flax, and oats. Both urban and wild populations readily nest in artificial nesting structures. Pairs search for nest sites together, typically on evening flights circling low over the habitat. This shot was taken near an observation deck in the winter of 2012. I have learned on Pentax, Canon, Nikon, Sony, and Fujifilm but primarily shoot with Nikon. At this time I was shooting with the Nikon D700 at only 12 megapixels. 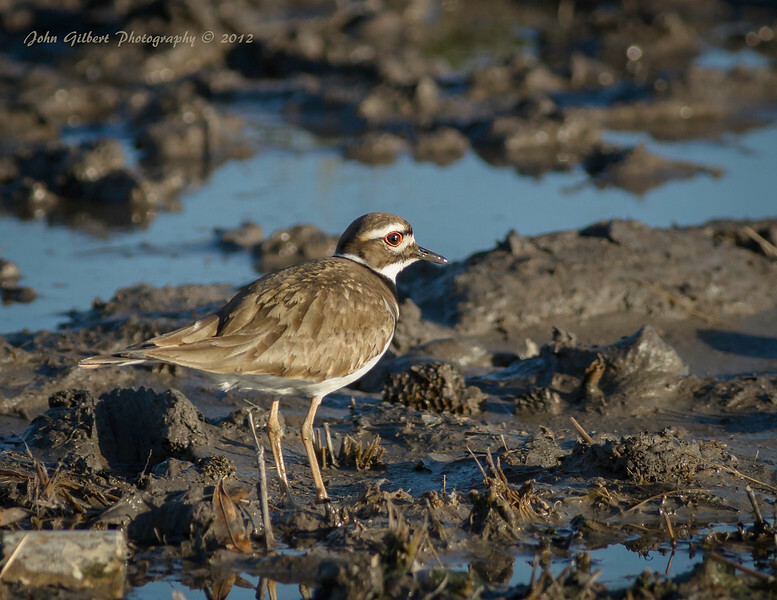 Look for Killdeer in fields, airports, lawns, river banks, mudflats, shores. 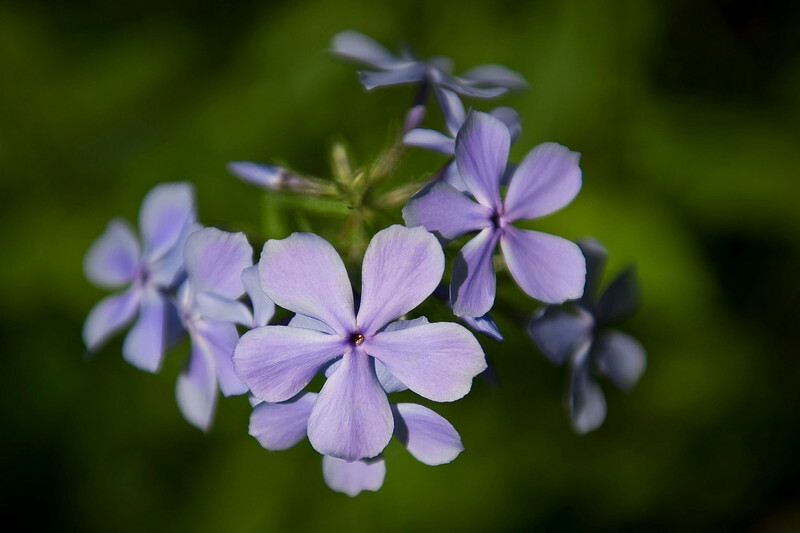 Often found on open ground, such as pastures, plowed fields, large lawns, even at a great distance from water. Most successful nesting areas, however, have some shallow water or other good feeding area for the chicks. Also commonly found around water, on mudflats, lake shores, coastal estuaries. These are known. The whitetail deer is the most popular game animal in North America, and folks all over the continent make it a yearly quest to harvest one in their sometimes too short window of opportunity. Even for those who don't often go deer hunting, there's rarely an occurrence in which they see a whitetail and don't stop to observe it. They're a common sight in many places, but also a mysterious and confounding animal, especially for those who hunt them. To digest the plants they eat, deer have a four-chambered stomach. 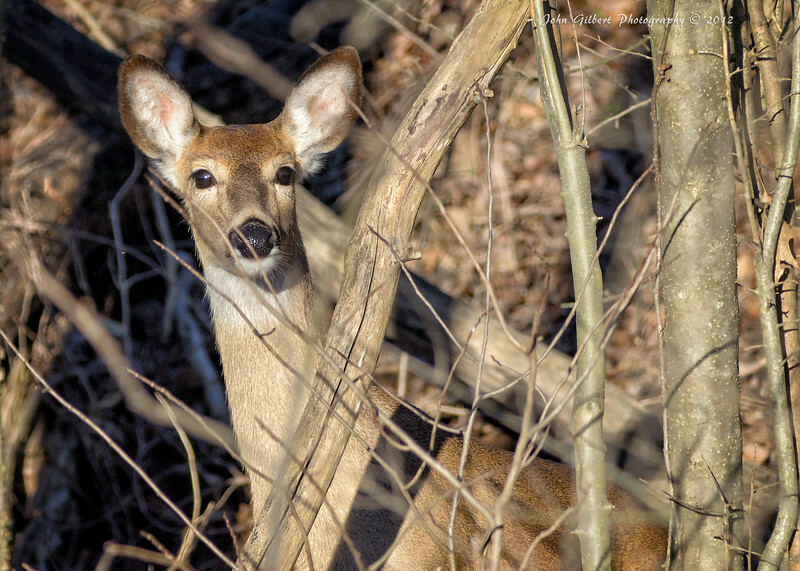 Whitetails will eat leaves, twigs, fruits and nuts, grass, corn, alfalfa, and even lichens and other fungi. They chew cud as a result, like many livestock animals. Some experts believe the whitetail deer's hearing is so good they can determine how far away a sound was made. Their ears can turn in any direction without moving their heads. Deer herds are typically controlled by an older female. Bucks entering into herds fight for dominance and the ability to breed with a herd's females. The term "buck" comes from Frontier days, when a male deer hide was worth $1, or one buck. Whitetail deer have different colors depending on the season and location. Their spring and summer coats are generally reddish-brown, and they take on a duller gray color in the winter. 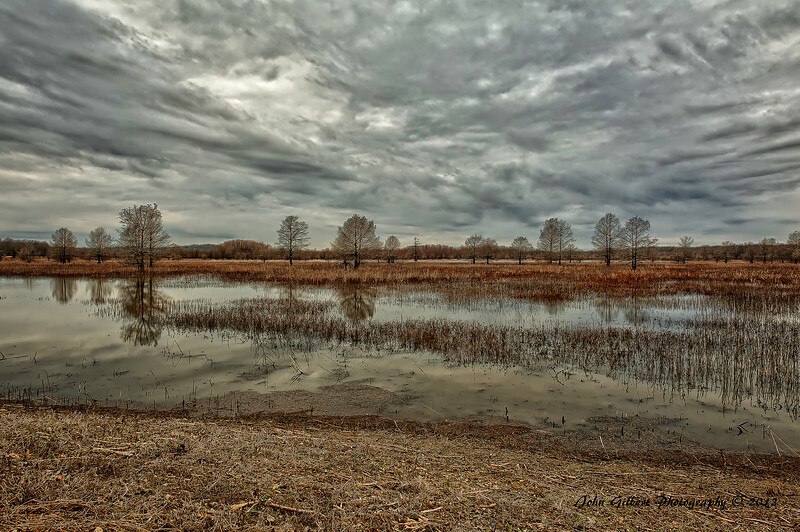 The seasons of the year can have a huge impact on landscape photography. This was taken in June of 2012.